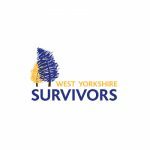 Survivors West Yorkshire (SWY) is a survivor led and focused service. Its vision is to support evidenced based services that are gender informed and accessible across West Yorkshire. Services which are user friendly and proactively involve survivors.